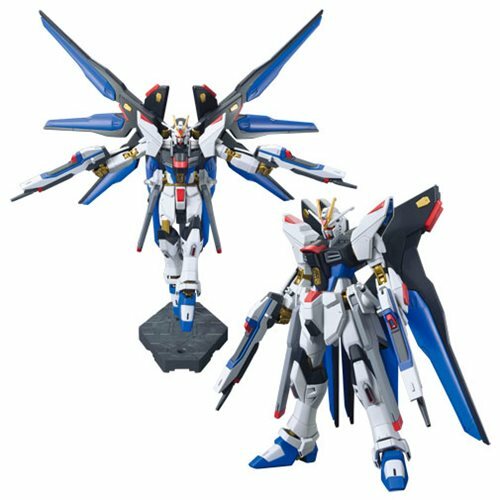 An updated design of the Strike Freedom from Gundam Seed Destiny recreated with updated proportion and part separation technology! Includes 2 beam rifles that can also combine, hip mounted rail guns that can fold back for storage, beam shield, and 2 beam sabers. Comes with 10 Runners and a foil sticker sheet. Measures approximately 5-inches tall when complete. Ages 15 and up.